Plumbing Contractors – Let Edenflo be your Pump Truck Partner! 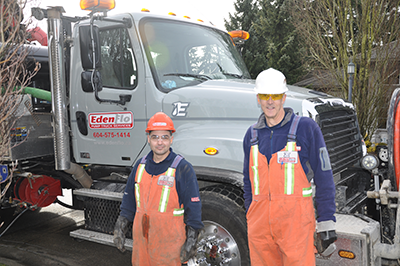 If you’re a plumbing contractor on the Lower Mainland, when you need the services of a pump truck, remember Edenflo. We’ve got a large, versatile fleet of trucks that can attend to any of your needs, from a small residential blockage to an industrial sized sewer line hundreds of feet long. Our response times are short, and our technicians are skilled and knowledgeable, making Edenflo your ideal partner for jobs requiring a pump truck. Because our fleet is large, you can be assured that our equipment and technicians will be at your disposal when you need them. A combo truck is your go-to for most situations. Equipped with high-pressure water jets and a vacuum, it’s ideal for clearing residential sewer and septic lines, as well as clearing out sump pits and catch basins. A jet truck has a high pressure pump capable of producing 40 gallons per minute at 3000 PSI. This truck is capable of clearing sewer lines that are 18 inches in diameter and 600 feet long, ideal for industrial applications. A vacuum tank truck is used for collecting non-hazardous waste in volume. For hard to reach areas, we offer a lowboy truck, which is essentially a combo truck that isn’t as large, so that it can access areas where clearance is limited, like underground parking lots and garages. In addition to pump truck services, Edenflo also offers you the use of our Video Line Inspection capabilities. If you need to know exactly what problem your customer is facing, you can use our CCTV cameras to pinpoint it, making it easier to solve. For more information about the services offered by Edenflo, and how they can enhance your plumbing business, call us at 604-575-1414. This entry was posted in Edenflo Pump Truck Services and tagged commercial plumbing contractors, plumbers requiring pump truck services, plumbing contractors, plumbing contractors lower mainland, residential plumbing services on July 23, 2015 by Edenflo. 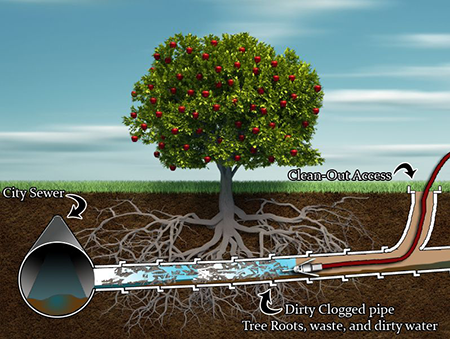 Hydro-Flushing is a tried and true technique in drain line clearance, and it’s the first choice of an Edenflo technician when there’s a problem with your sewer or storm water removal system. It offers many benefits over traditional mechanical means of clog removal. Hydro-Flushing involves introducing water into the pipe at a very high pressure, dislodging both the clog and any accumulated sediment in the line all at once. The result is a drain line that is completely clear of debris, not just the removal of a single clog. Any material that doesn’t flow out to the sewer system is collected by the vacuum in our combo truck and removed that way. You are left with a system that is nearly as clean as it was when you installed it. Because there’s no mechanical component, there are no errant metal tools involved in the process that can damage your drain system. No surprise repairs. All Edenflo technicians are trained and experienced in the use of Hydro-Flushing equipment and methods. They can accurately assess the needs of your specific property and drainage system, and set about work in a way that will solve your problem in the shortest time, at the smallest cost. 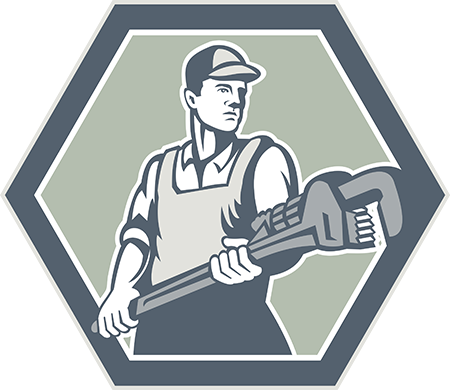 Hydro-Flushing is a more efficient, effective, and economical way to solve the problems of a clogged sewer or septic line. It’s also useful as a preventive technique. Hydro-Flushing on a regular basis will ensure that your waste and storm water removal system will work as intended for years to come. For more information about Hydro-Flushing and other services offered by Edenflo, call us at 604-575-1414 or fill out our online request for service. This entry was posted in Property Maintenance and tagged benefits of hydro flushing, high pressure water flushing, Hydro Flushing BC, hydro flushing surrey, hydro flushing vancouver, what is hydro flushing on July 17, 2015 by Edenflo. There are pipes underground, and some of them carry unmentionable things. Whether or not you like to think about them, they exist, and if you are in care and control of just about any kind of building, the day is going to come when there’s a problem “down there” that will need to be fixed. As the Lower Mainland’s premiere provider of pump trucks and related services, Edenflo is the company that’s poised to be your “pump truck provider of choice”. Whether you’ve got storm drainage woes (lines or catch basins), a sewer problem, a septic tank that needs to be emptied, or any other backup, we’ve got the latest technology at our disposable, and a large fleet of trucks at the ready to provide same-day or even immediate service when a problem arises (usually out of a drain). For commercial customers, we have wide experience in the food service and industrial sanitation sector. Our response time, knowledgeable and courteous technicians, and access to state of the art techniques and equipment mean that, if you’re in business, you want us as one of your partners. No matter what your needs, we can offer you the value of experience, and access to the best practices in the business. We can pinpoint your problem using CCTV cameras with Video Line Inspection, and we can often cure the problem with minimal hassle using hydro flushing. Even if we have to dig, we can do the neatest possible job with hydro excavation. Get to know Edenflo – when something goes wrong “down there”, we’re going to be your best friend! This entry was posted in Edenflo Pump Truck Services and tagged commercial pump truck services, get to know edenflo, hydro excavation lower mainland, Hydro flushing, septic tank maintenance vancouver, vancouver video line inspection service on July 15, 2015 by Edenflo.